A view into Cwmnanthir Campsite on a hot summer's day. 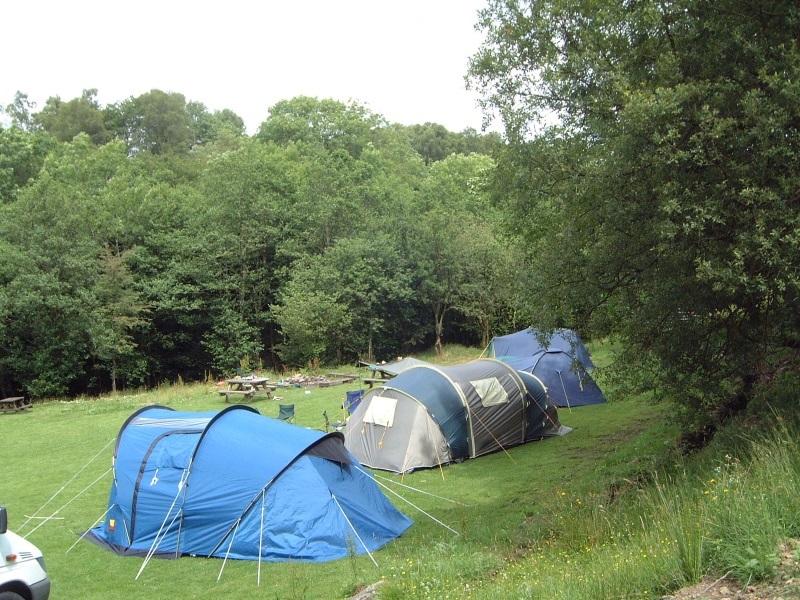 Cwmnanthir is a small, family run camp site on the western borders of the Brecon Beacons. 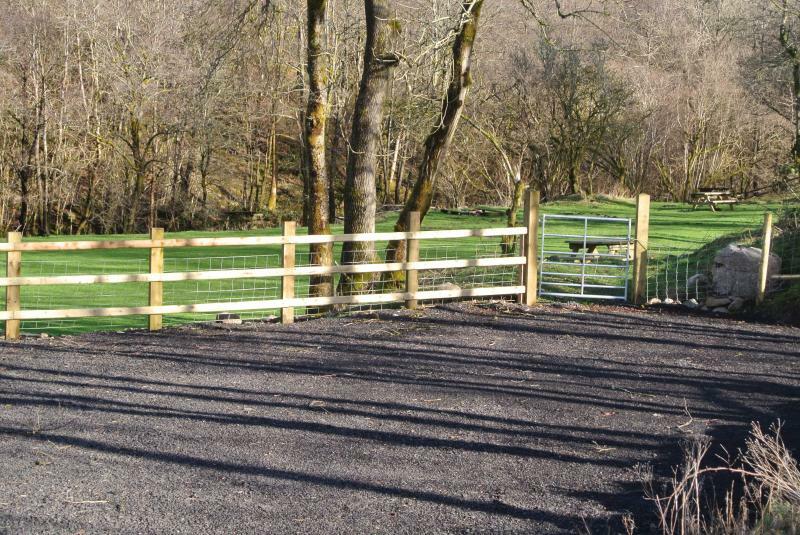 The field based site is situated alongside the Nant Hir river adjacent to coppiced woodlands. Buzzards, herons, red kites and other wildlife complement our free range poultry, sheep and waterfowl. We aim to provide a relaxed non commercial atmosphere for you to enjoy. IMPORTANT; We have just received planning permission for an extension but have to get work done over the winter as we have bats in our roof. The rush will knock out the camping facilities so we are shutting for this winter (2018). We have not got a reopening date yet but will update the website when we are back and running. Thanks for your patience. 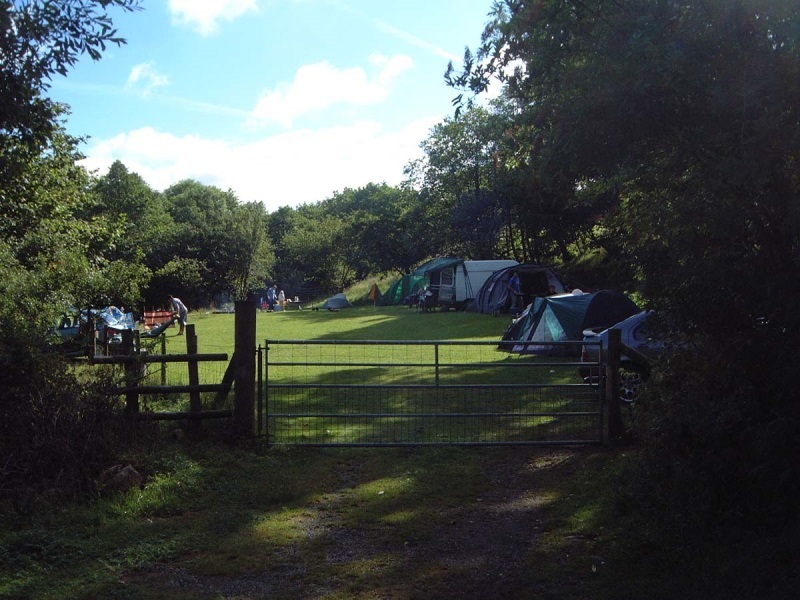 Cwmnanthir Campsite has plenty of space for everyone! The site is an ideal base for walking holidays or short breaks with several dramatic waterfall walks on our doorstep and PenYFan and the Brecon Beacons being a short drive away. 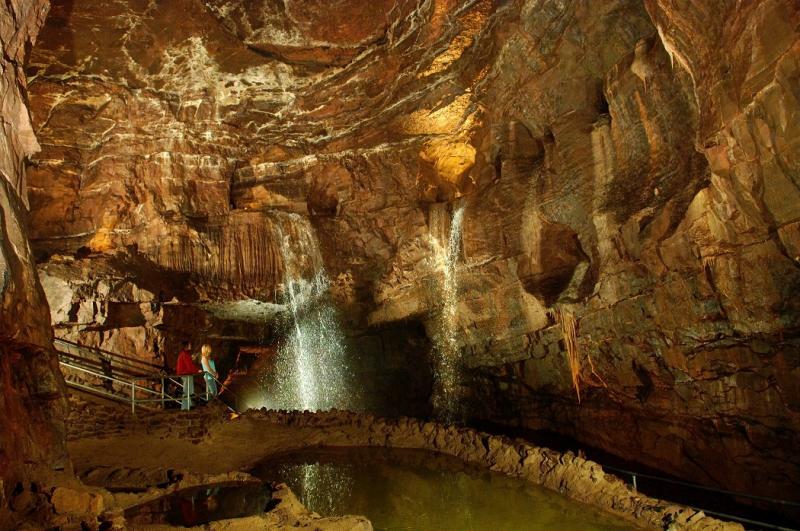 The Dan-yr-ogof show caves and Big Pit provide a good day out for families. Mountain bikers have the Taff trail, Afon Argoed park and the entire Brecon Beacons to explore. We welcome friendly dogs who don't chase ducks! and provide space for you to have a campfire. The Brecon Beacons dark skies geopark is now the newest UK dark skies reserve. Being in our own secluded valley we are sheltered from light pollution. 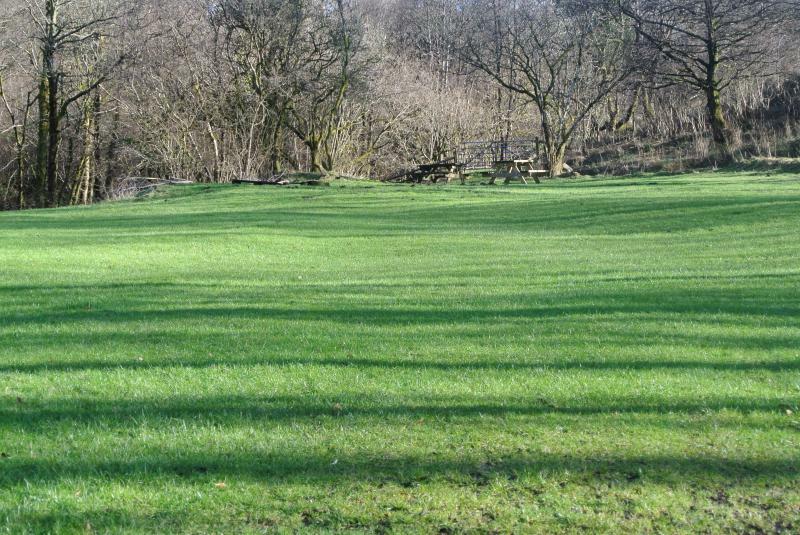 Our little car park to give more space in the field during the summer and easy parking when wet. 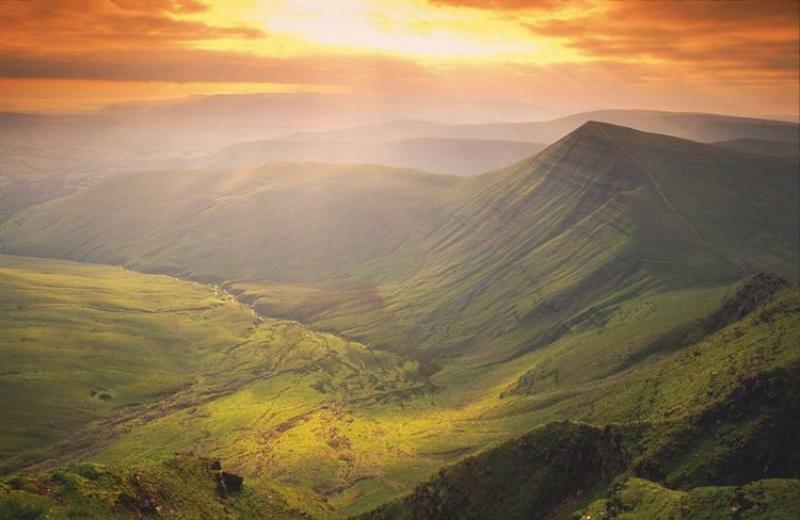 Pen y Fan is the highest peak in South Wales and southern Britain, situated in the Brecon Beacons National Park. At 886 metres (2,907 ft) above sea-level, it is also the highest peak in Britain south of the Snowdonia mountain range. The twin summits of Pen y Fan and Corn Du were formerly referred to as Cadair Arthur or 'Arthur's Seat'. Dan yr Ogof, also known as the National Showcaves Centre for Wales, is a 17-kilometre (11 mi) long cave system in south Wales, five miles north of Ystradgynlais and fifteen miles south west of Brecon within the Brecon Beacons National Park. It is the main feature of a show cave complex, which is claimed to be the largest in Europe and is one of the major tourist attractions in Wales. 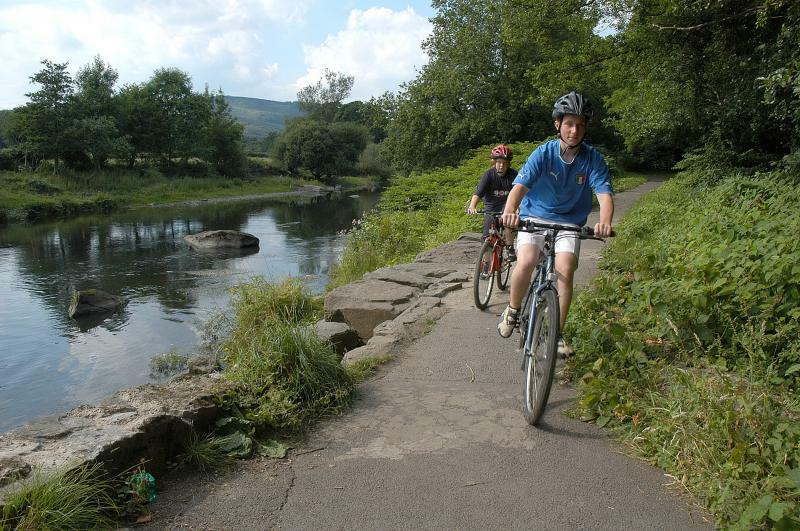 The Taff Trail is a 55mile / 88km way-marked route for walkers and cyclists, from the market town of Brecon to Cardiff, the Capital City of Wales. 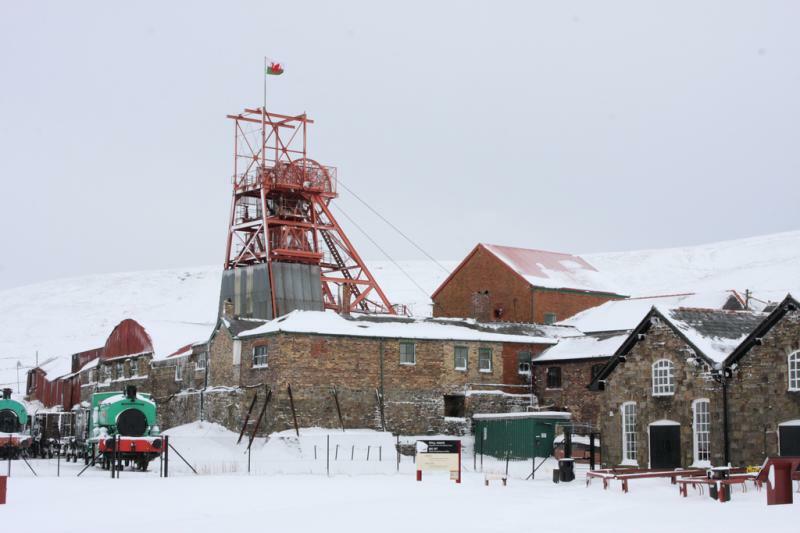 Big Pit: National Coal Museum is an industrial heritage museum in Blaenavon, Torfaen, South Wales. A working coal mine from 1860 to 1980, it was opened to visitors from 1980 under the auspices of the National Museum Wales. The site is dedicated to operational preservation of the Welsh heritage of coal mining, which took place during the Industrial revolution. Copyright 2007 Cwmnanthir. All Rights Reserved.